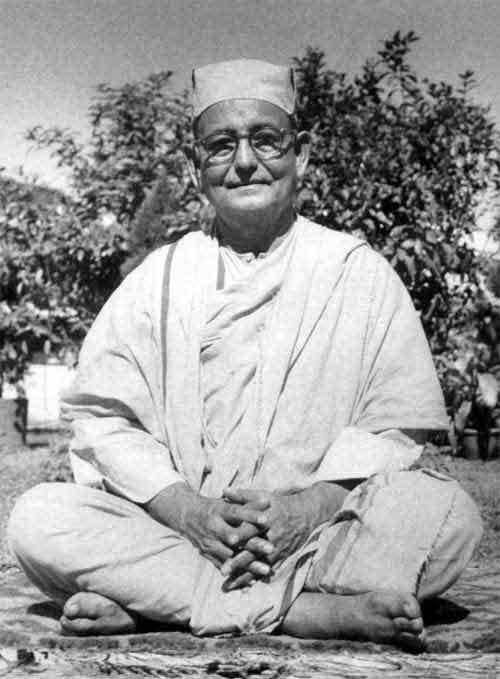 Swami Yatiswarananda (1889–1966) was a senior monk and former Vice-President of the Ramakrishna Order and Mission. This collection of Swami Yatiswarananda Quotes is mostly from books. Through pure actions and thoughts you should accumulate enough merit to counter the demerits you have acquired. Later on, the whole account of merit and demerit is to be made nothing. But, at first, there must be a balancing of the account; both merit and demerit must be squared up so that the balance is nil. You must close your old account. You must put a stop to your old life. There should be no craving for fresh worldly company and worldly talk and amusements. The whole spiritual life lies in this fearless adjustment. Today, with you all, it is all a minus balance, and now you must earn spiritual merit sufficiently so as to square up the account. Only then a new account may be begun. Spiritual life means opening a new account. Just as work is to be done in the proper spirit, so also worship is to be performed in the right manner. All of us have to perform work of some kind or other. Work is compulsory, but the trouble is, worship is optional! Most of us do not feel inclined to do any worship, or Japa [repetition of holy name] or meditation, and that is the pity of it. If we are hungry spiritually, we would like to take spiritual food. We feed our bodies; we should feed the body with good healthy food. We feed our minds through our studies—the ideas should be good. Similarly we should feed the soul. How to do it? Through the practice of worship, Japa, meditation. Everything reflects the glory of God. Behind our human connections there is the Divine connection: behind all human relationship there is the Divine relationship. Therefore our feeling for all should not be allowed to die. It should be transmuted. During the period of transition and transformation one may pass through a little indifference for a time. But if one holds the ideal clearly before oneself, and scrupulously follows the duties that are to be fulfilled, the former feelings return in a transmuted form, from which attachment has been eliminated, but in which the love for the Divine and the love for others through the Divine remains. Two dangers are to be avoided. One is to love with human love and falsely call it divine. The other is to become too indifferent to even the right feeling, and be negligent of one’s duties. Both are harmful to spiritual growth. In order to be of real service to others, we should try to reflect the glory of the Divine in our own life. Then silence becomes more eloquent than eloquence itself, and if speaking be necessary, it too will prove helpful and effective. Furthermore we should practise self-surrender to the Divine in us and outside us. At present our personality is a combination of the false and the true self. As we grow spiritually, the higher self becomes more and more manifest. That which is real in us can never be lost. In spiritual progress, we become more and more selfless in our dealings with others; we feel an inner joy and peace. Think of your mental state in the past and compare it with your present state; you will see the difference brought by sadhana. Similarly, examine how many times in the day you think of God. How much time is spent in contemplating on Him? Find out what thoughts come to the mind when falling asleep and on waking up. That would give a true indication of the contents of the mind. These are the ways to find out spiritual progress.